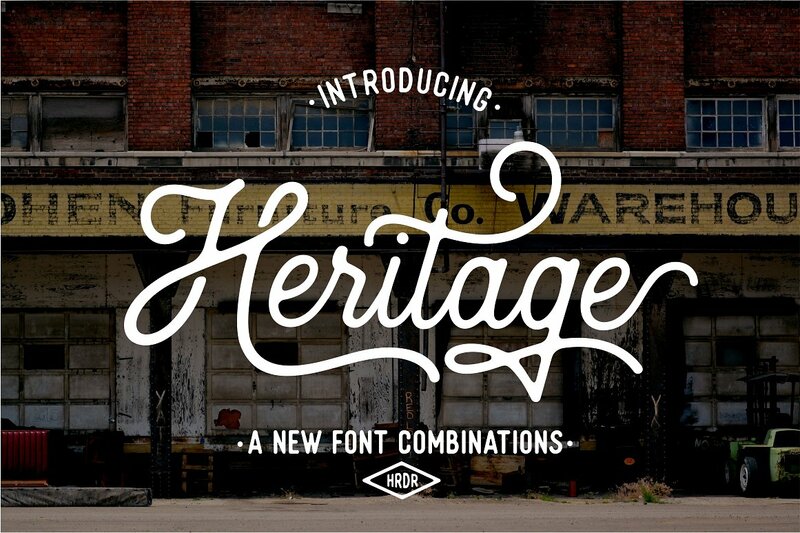 Heritage is duo script fonts pack created and published by Harder Type. Featuring alternates, ligatures, swashes and two warm vintage styled fonts named Heritage and Voster, designed to perfectly combine so much need in branding, advertising, product logo, wedding card logo, clothing brand logo, vintage designs etc. Inherit design passion with Heritage! A font description published on Friday, January 20th, 2017 in Fonts, Harder Type by Andrei that has 6,305 views.